Dentures Exeter. False teeth have come a long way in recent years and can now look as real as the original teeth. They now have an extremely accurate fit, making them comfortable to wear. See the results for yourself in our cosmetic dentistry before & after gallery. We believe that building on the natural form makes the cosmetic side of dentures far more straightforward. It may therefore be helpful for you to bring along a photo of yourself in earlier days. We provide a wax mock-up to show how you’ll look after treatment, and so you can be sure your expectations are being met. Here at The Whyte House Dentures Exeter, we can offer you a number of different options, both in terms of types and brand of dentures, as well as possible alternatives to dentures. This includes dental implants and dental bridges. Problems with dentures working loose can be rectified either by having a new set made or – the most long-term and secure solution of all – by having dental implants fitted to hold the denture in place, known as implant-retained dentures. Dentures can be uncomfortable. Accurate impressions and design reduce these issues. However, if you find that your lower ridge is so thin, dental implants may be the only way to support a denture and stop it moving about. Implants Securing Dentures If you would like to speak to our implant expert please contact us. 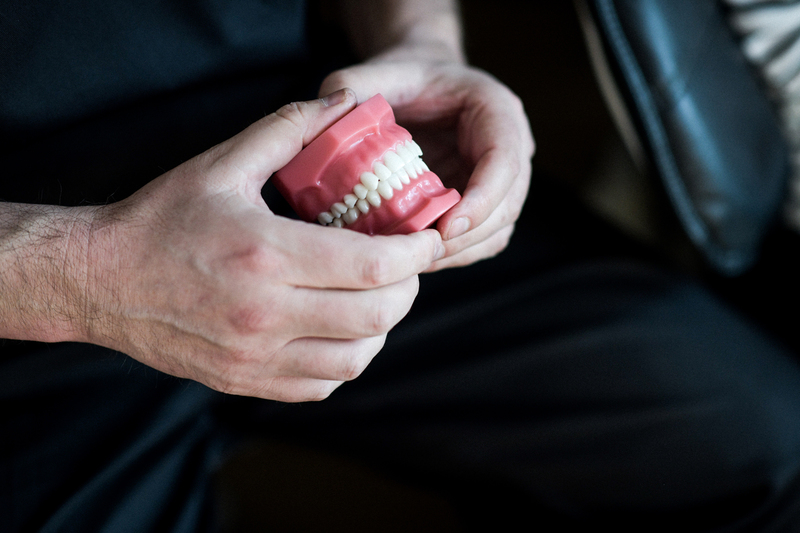 Are your dentures loose and painful? Consider Implants to hold them in place.